In 2017, REI used buyer history, browsing recommendations and local weather reports to create a highly-personalized ad campaign to target certain consumer markets based on geography. In an attempt to make REI relevant and personalized to people in different locations across the U.S., the brand created ads for individual users to get them excited for REI-sponsored events, classes or activities. For example, if a customer lives in Colorado, it’s currently snowing, and REI knows he snowboards, the brand will send him relevant programming, content or products. 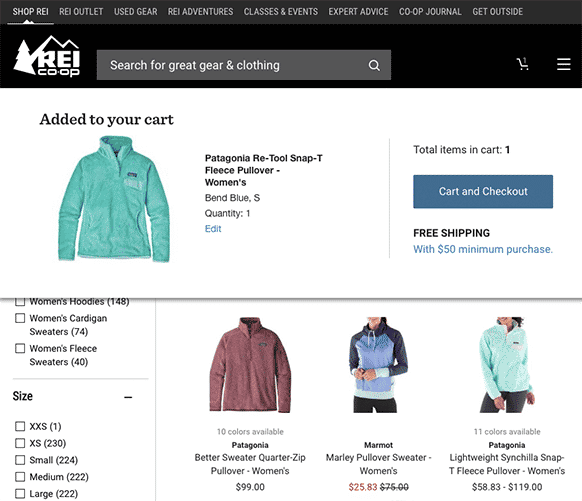 REI shows events near shoppers’ geolocations and sends emails containing the type of high-quality, in-house content customers indicate in their interest filters. In 2017, REI reportedly earned $2.5 billion in revenue, and it donated 70% of it to causes that get people outdoors. REI showcases its specialty -- expertise -- on its expansive product pages, including “the nitty gritty,” tech specs and more. 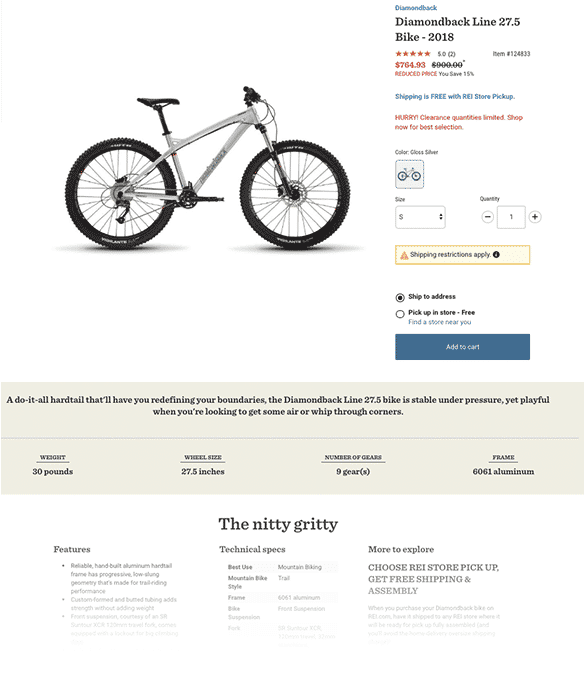 REI also incorporates both collaborative filtering recommendations and product-based recommendations, using information collected at sign-up in tandem with data from current browsing session. REI’s easy-to-use mobile shopping app is fully customizable to your interests and uses geolocation to promote events near you. When you access the home screen, you’ll be able to choose topics and content that you prefer so interests remain front and center during your experience. Additional apps built by REI reinforce the brand’s mission to inspire, educate, and outfit. 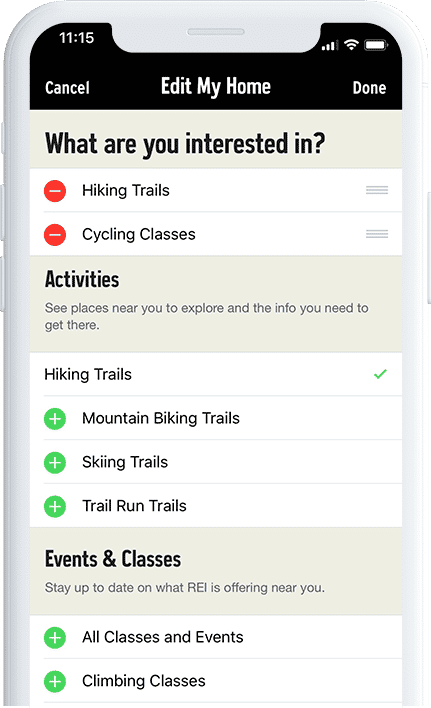 Consumers can download apps for national parks, hiking, mountain biking, snow sports, trail running, and more. REI’s strategy is accessible across all channels so consumers can truly enjoy the great outdoors. REI streamlines its quality content, product recommendations and event suggestions across every platform. Its shopping app is connected to site, so that if an item is added to your cart via the app, it is reflected onsite. The brand could take this further by connecting exploration apps to product recommendations found in the shopping app and overall shopping experience.